When rotating the control shaft from the "Depressurized" position to the "Pressurized" position, or vise versa, a small amount of solution is forced out through the two vent holes in the outer body of the metering valve. This is not a problem. Its suppose to do that. 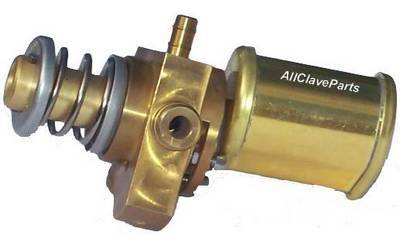 In fact, a Splash Shield is included with every AllClaveParts Valve and is designed to absorb the drips. However, there are times you should be suspicious and here is what to do.